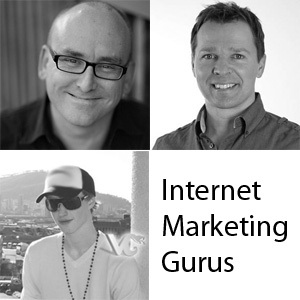 Are Internet Marketing Gurus Taking Us for Granted? Before you even think that this is “another guru bashing post”, let me throw up my hands and swear. No, this is not one of such posts. The thought that the IM gurus have been taking us for granted has been lurking in my mind for so long. I’m not even sure whether I should be posting this in someone else’s blog. But, since my blog is pretty new, I thought this is better off as a guest post. Ever wondered how the top bloggers in your niche make money? Apart from a very few bloggers, most people have their own products. The most common advice seen in internet marketing blogs is that you need to have a product of your own to make six figure income. I don’t doubt that having a product helps make a lot of money. In fact, I really think that making money through product launches is a great way to monetize your business. After all, blogging alone is not a very viable business model. You launch your first eBook or video course, or membership site. You promote it like crazy, get people onto the program and then make money. You provide real value, people are happy that they made a purchase from you. All’s fine till now. Grab any products about “product launches” and you will understand that creating hype is absolutely essential for making big money with your product launches. You go crazy with pre launch offers, jv offers, bonuses and so on. For most launches, the bulk of the money is made during the initial stages. When the hype is still fresh and people are all excited about the product. However, what happens when the hype subsides? This is when most product owners face issues. Their income almost stops (compared to the initial income). What happens when you run out of money? You try to make more money, right? So, now the top bloggers in our niche need to figure out another way to keep the cash flow. What do you think they will come up with? Since the product launch worked so well for them, they brainstorm and create another product. Some folks are notorious enough to charge people first and then later create the product. I’m not going to name the person, but you should know. What’s The Big Deal about Creating another Product? There is no problem with creating new products, per se. The problem is when the new product vastly resembles the old product the blogger launched first. If the upcoming products the blogger launches are very much related to the first one, shouldn’t it be given to the buyers of the first product for free? Or does buying a product mean no future updates? I’m not trying to point my finger at anyone (more about this towards the end). I respect all the bloggers I mention here. In fact, I am one of their most loyal fans. That is why this thought came to my mind in the first place. I love Darren for the fact that his blog is a wealth of information when it comes to blogging. No arguments there. ProBlogger’s Guide to Your First Week of Blogging: It’s supposed to help bloggers during their first week of blogging. But, Darren, you say that 31 days to build a better blog is effective even if you start out blogging and that we can continue using the 31 day process throughout the life of the blog if we choose to. Guess, this is for people who did not buy your 31 DBBB workbook. ProBlogger’s Guide to Blogging for Your Business: Same stuff, but for corporate bloggers. 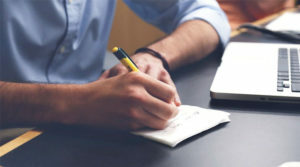 Copywriting Scorecard for Bloggers: Supposed to help you write better blog posts by following a checklist. Problogger Premium Forum: A premium forum which charges 5.99$ a month for access. As of writing this, the stats are “Currently Active Users: 19 (4 members and 15 guests)”. Not exactly what I’d like inside a paid forum. The Blogger’s Guide to Online Marketing- A book with more focus on marketing rather than just blogging. Problogger- The Book: Initially Darren released this as an ebook. Finally it was released as a hard cover. Looking at all the offering below, do you see a relation among the products? It’s almost the same with a little bit of difference here and there. When the ProBlogger book was launched, it seemed that we did not need anything else other than the problogger book. However, more products followed with almost the same theme. I get the feeling that these should have been upgrades to the original instead of separate products. Then again, it might be just me. Glen is one person who continuously gives away high quality content. He hasn’t turned his blog into a guest post concentrated blog yet. All posts are well written, extremely researched and usable information. Cloud Living: Focuses on the “internet lifestyle”. Touted as everything you need to get started online. At least, that’s how it sounded to me. Cloud Blogging: Much more miniature version of cloud living, but focused on blogging. Cloudblogging focuses exclusively on strategies to grow a successful blog. We focus on various aspects from design and SEO to content structure, traffic and monetization strategies whereas Cloud Living focuses on building minisites to promote affiliate products. Well, I am not too sure about that since in cloud living, there are two paths we can take. One is mini sites and another is blogging. He explains both in detail in his cloud living ebook. Strange!!! Cloud blogging should have been a subset of cloud living. However, it is not!!! But, you shouldn’t complain anymore because he’s offering an awesome free resource: Blogging Case Study which is completely free and the content is simply awesome. I would definitely pay for this one. Gideon is an expert in video. I love his videos and it’s highly informative. One of the products that made me the most money as an affiliate is his becomeablogger course. Becomeablogger.com is run jointly by Gideon and Yaro Starak from Entrepreneurs-Journey.com. It’s obviously a course that teaches people about blogging. The main selling point here is that they use a lot of videos in this course. 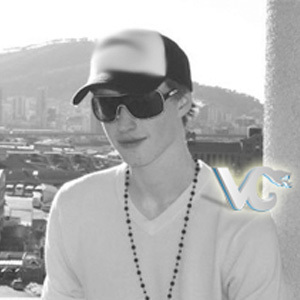 Rapidvideoblogging.com is run by Gideon alone and focuses on video blogging. Agreed this is a bit different, but it somehow overlaps with the becomeablogger course in my mind. If that’s not enough, he has a host of other products that you can buy for 247$. Here’s the page on his site. As I said, I do not have any issues with any of the above mentioned bloggers. They provide real value and the products they have are worth every penny. My problem, however, is that people who are new to this stuff “think” that what they purchase the first time is all they need to be successful. Then they are greeted with course after course. There seems no end to this. I even sometimes think Darren might come up with several ebooks titled “ProBlogger’s Guide to Your Second Week of Blogging”, “ProBlogger’s Guide to Your Third Week of Blogging”, and so on. I’m sure if that happens, content might be exclusive. Not the same re-hashed stuff. However, how about thinking from a buyer’s perspective? We buy a product thinking that it’s a solution to all our problems, only to find that there is another product from the same person who we bought the earlier course from. This time, the sales pitch makes it seem to us that “this is the one”. What happens when we buy it too? After some time, another product launches claiming to be the ultimate guide or whatever. So which is it that is “the one”? I choose these three bloggers for case study because I know their products offer value. But, there are a few others who re hash the same content and sell as different courses. If I choose to write about them, I think it might be a non constructive post. From a sellers perspective, this is absolutely fair. In some ways, yes, it’s the only way you should proceed with product creation. If you overwhelm a reader with too much information via one resource, chances of them taking any action is close to zero. Now, if you are like most honest product creators, you want your users to benefit from what you offered them. So, why should he not want them to make the most out of it? By splitting the topic into a number of resources, you can, in effect lower the price of each resource and make it more targeted. Take for example the blogging book for business and the normal blogging book from Darren. Don’t you think that businesses can benefit from reading the book with a focus on business? They could possibly save money and a lot of time. The reason I picked out 3 bloggers is because I respect these guys a lot. I know they deliver what they promise. But how do users feel when they are confronted with “similar sounding” offers again and again? Do you think it’s fair to the readers? Is this a business model that you would like to follow? I’d like to hear your take on this. Adarsh Thampy is an inbound marketing consultant and passionate blogger. 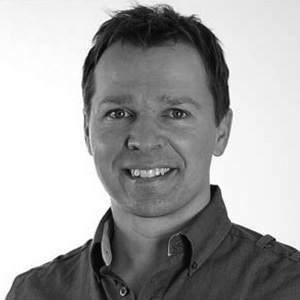 He covers topics such as search marketing, content marketing and small business marketing over at ConversionChamp. You can follow him @ConversionChamp. Hi Adarsh, It's all about presentation and packaging. If you really look at it, everything online all comes down to only two things: Traffic and conversion. The courses and ebooks are either on how to generate traffic and the other would be how to improve conversion of the website's traffic. There are definitely Free courses and sources of information about blogging, traffic, seo, conversion, but if there's a nicely packed product that's been summarized, etc, then that's something that I might want to buy. Blogging about this same tired batch of blogging gurus is like selling ice to eskimos. Enough! Thank You Admin for such a Great Post. Professional Face Painting Artist serving in the Virginia Area. We Offer Face Painting, Belly Bumps, Glitter Tattoo and Theatrical Makeup with Reasonable Prices. Wow clearly you have done your homework. I am familiar with Darren and Gideon, but not Glen. As far as Gideon is concerned from a buyers standpoint, I think he oversells. Do not get me wrong the information is there, but how many people are actually sitting there and listening to all those videos? Hey I did and he almost had me, but affiliate marketing is not in the cards for me. Since I am no "pro blogger", these products do not interest me. But I am very much in love with his blog, as you stated, "A wealth of information". As you guessed, I am no writer, but attempt to write about my niches with help from his types of blogs. I suppose one could be pissed off that some of the top bloggers hardly reply to their readers. Just saying that we all have lives to live, but if this is what you do, you make the time. Great Post here, I am glad to find this! Im huge fan of problogger, another expert seems new to me. I have a website which gives away lots of free stuff. The problem I have is that I get inundated with emails with the 'latest' product which is going to 'solve' all my problems. Deciding on who to trust, which products actually work and which ones don't deliver is not easy. I know it's easy to get a refund, but the time spent in buying, trying, realising that you've just bought another load of rubbish is really frustrating. How do you sort out the good stuff from the rubbish? Social proof is one thing. But sadly, it can be easily manipulated too. It's tough to see who's good and who's bad. Try search a lot of reviews. 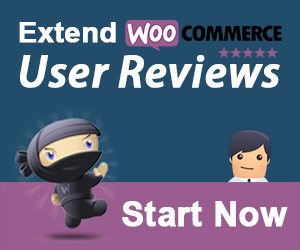 If you come across affiliate reviews, skip them. There is nothing much you can do other than trying the product. First let me say what a good extensive article it is, you really did your research and did a great job at staying constructive. I think there will always be a gap between what is best for consumers and what is best for the sellers. But as we are free to choose what we buy they are free to sell what they want. I just think the way they package it can be un fair. But selling your new product by saying "it's really good but you know most of it alread if you bought my previous product" is not really good copy I think. But like you said cut it up in smaller products might be a good way to keep the money coming in. Just plan it out carefully then put up the products one by one but have a more expensive option on the side where you can opt to buy the full set, meaning you will pay once and get all the other products/parts of the serie as they come out at no additional cost. Hi Bharath, Are you sure blogs about blogging are going viral these days? I don't see that happening with new blogs anyways. You are right about copying content. People might not copy it as such, but certainly the idea comes from such established sites. Ardash, buying expert advice from a well known guru might be compared to buying the very best ski equipment before your first trip to the slopes, or the most expensive (and complicated) camera before trying out a few snapshots with a point-and-shoot. Even worse, buying a bathing suit before swimming a few times in a public pool . . . OK bad example. The point is that no guru, no matter how genuine and helpful, can substitute for the effort, ability, and perseverance of the guru "follower." After getting your feet wet and discovering you really need advanced advice is when to start shopping. Darren's book got me started, though, and for that I will always be grateful. I understood it much better after blogging for a few weeks and reading it again. I am not sure about vipre chill, but Gideon and Yaro blog is very helpful. I remember in 2008 I came to know how to launch and start a wordpress blog by watching their video series. If you consider a start-up these are very useful resources. I have 31 DBBB and it is just ok, but not something must have. As you have mentioned "other people" use same old rehash content is not a proper word because it will include many other good people. There are many good products, ebooks and courses to join. 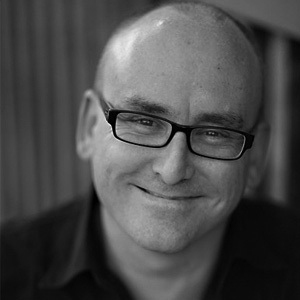 Have you tried the copywriting scoecard from Darren Rowse? No. I haven't bought it. But I got a chance to quickly take a glance (partly) since one of my friends had bought it and he had in his laptop. It looks pretty good (design wise and content wise till I have read). I personally have a copy of the Copywriting Scorecard, and we did reviewed it here on the blog! Read the Copywriting Scorecard Review I also remember that I emailed Darren and asked him for a review copy, he never reply back to me! So, I had to buy it to check what's in it, never used it though! You must also understand the fact that he might receive hundreds or thousands of emails each day. So it;s understandable he might not reply. I think he has an assistant to check emails and only forward important ones to him. I guess his PA decided your's was not important. Or maybe it ended up in the junk folder for some reason. I remember emailing him some 3 or 4 years back. At that time he used to respond. Now I haven't tried though. True. Using free info to get people to buy your paid info. One of the most legitimate marketing strategies (as long as you don't try deceptive tactics that is). Constantin, You made me smile :) While it's true that you should be off to solving real world problems, you shouldn't forget the fact that the barrier to entry for most offline businesses is huge. That's one of the reasons the promise of easy money lures a lot of people! This is really an interesting case study about popular bloggers. As a earner from blogging these type courses and product selling can be a extra income. You are true about blogging courses as being extra income. Just make sure this is not your primary source of income! I want to follow a "guru" who already has the experience in making money through Internet marketing and have found great success in doing so. Some IM "gurus" made a lot of money selling their own information products, seminars, etc. but have they really made real money using the information they are selling? Valid point. There is no way we can know that for sure. Some time back a popular blogger revealed the truth that he was not a 6 figure blogger and that he was simply lying about it. Imagine the shock :) Anyway the point is, check if the IM guru has any other biz other than the courses he's selling (or did he have a few in the past). If he has had other businesses or can give you proof of his methods, then I think it's safe to assume he knows what he's talking about. Personal connection and trust is indeed the most important factor that helps us sell. Thanks for sharing your view Joe. I think most all information available in these products are available for free if you're willing to dig for it. Sometimes the way the information is presented makes it worth the purchase, and for different people that means different ways. For example, I really like ProBlogger's 31DBBB because it's a workbook, not just an ebook, I can follow steps each day, and I can write my work down. I've never paid for an ebook that didn't have a checklist or workbook in it, if it's just to read a point a view I can find that online, but to be able to follow a guide, and write my plan out as we go is great for me, but I realize that it's not the same for everyone. Also it's worth noting that some products get specific and that can help too. I've seen so many ebooks titled "Make Money Blogging" or other similar titles, which honestly won't inspire me to purchase them, but if it's something more specific like "Make Money Blogging about Cars", or any other subject, then certain people can relate and say "I want to know how to do that because I like cars and would love to make money blogging about them". Going niche is good to differentiate. But how many people would be willing to do that considering the fact that their audience will be potentially limited due to the tight niche? Great efforts taken to write this post. There is no end for buying from these internet marketers. After taking 1 course, you are forced to get another book. In many of the PDF files, you will find dozen of affiliate links and we start to feel incomplete without buying those products or courses. Even at WF, you will find thousands of SEO & internet marketing books trying to convince you by presenting a more better version of previous products by him or any other guy. What I understand is no internet marketer will share their biggest money making secrets even if they sell their training or courses for $100 or more. To some extend you are right on target Pritam. I know that I am not going to reveal my most profitable keyword unless sharing that information brings in revenue that I could have made with that keyword if a new entrant was not there. If the courses are different, then I will buy. However if most of them are similar, I doubt I'd be able to justify the purchase. I know Problogger and read his workbook 31 days to build a better blog, which is pretty decent. Maybe if I had read his blog daily I would have recognized recycled content but I don't. Have to agree with Adarsh that we buyers don't want rehashed or freely available content though! The problem is, most of us don't have the time to follow all blogs on a daily basis. But I'll say this is a good approach in some cases. Some people would actually benefit from the ebook rather than links to several blog posts. Also who has time to go dig in the archives? Really great effort! Rather I would say a bold effort too! I have been initially purchasing products from a number of top blogger who guide us to build a income generating blog. But later I felt that it is not about just getting new products but to learn on how did they finalize to offer it a a product! Also blogging lessons are now taken for granted and almost everyone has started to offer a product. At least blogging gurus like Darren has created products only after proving themselves as successful bloggers not just with problogger, but also with his photography site. But I can't simply avoid laughing when someone new launches a product within the first year of blogging. Too bad! Any ways you have opened up a very good topic for conversation. Thanks! I wouldn't say that newbies who launch products within a year of launch are a joke. What if they had previous experience with other blogs? Also, blogging about blogging course are not very good income generators. I have seen many blogs about blogging moving away from the topic and concentrating more on social media. It's funny reading this post. I mean these guys positioned themselves as expert in the field. And I must say that a thorough look at the products they offer would give you an impression of simply offering the same item but the recent one is upgraded.I do love reading and I have my list of authors. But these authors would not publish the same publication and just upgrading to get a new publication. Their creativity over the years are improved giving them another topic matter to talk about. In the internet marketing industry, newbies are buying anything that might help them without giving it a lot of thought before shelling in some money. Spatch, I agree that newbies simply spend a lot of money trying to learn everything possible. The most important thing is taking action. I know many people who just read and read and not take any action. What good is spending money if you are not going to do anything with the knowledge gained? Thank you for sharing your thoughts. This is a tough one for me, because I'm learning and it's difficult to tell the products that are just being pushed out on the market with no real substance from the products that will help me take the next step. That's where authority comes in for me; when Darren releases something, I feel comfortable with the product - this is something that will help me. Different variations speak to different people (I think). It's frustrating when I surfing the store on my Kindle and keep coming across ebook after ebook offering big promises with little return. I've been looking into workshops and $97 sounds like a good idea, but is this really what I need, will this help me. Being able to afford a workshop is mute if the workshop doesn't offer quality content. Lately, the people who have been getting my money are the ones that offer something substantial for free, like The Challenge, then present a bigger and better paid version with a money back guarantee. I can deal with this. We're working in a world of screen shots, profile pics, and type written words - it's hard to tell who is the real deal and who isn't. Great job on this post! Thanks for sharing your views Kimberly Gauthier. I do agree that it's tough to figure out who's genuine and who's not. Take a look at saltydroid.info and you'd be amazed at how many of the so called IM experts are not really someone you'd want to associate yourself with. Novice bloggers are so desperate for information about blogging that they are easily duped. I disagree with you when you state that all three bloggers give good value for their products. If that were true, you would not have had much to say in your article. Your points are good ones. My feeling is that the real value on the Internet is in the blogs whose niches are not about how to blog. The blogging and marketing niches are overcrowded with folks who are trying hard to have something to say and end up saying (poorly) the same things over and over again. How many mundane articles have you seen about the value of social media for promoting a business? Doug, I can understand your POV. However, I will never say that these guys deliver low quality products. The products from Darren and others are all excellent material. My only problem against this approach is when the same person comes up with similar sounding products in quick succession. This might seem confusing and somewhat tricky because the first product already claimed to be "everything you wanted to know of improve your business", so why come out with a second one? Then again, I do agree with you about saturation. 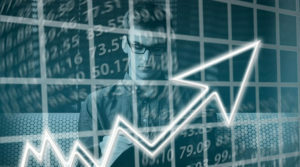 Even though many people claim there is no such thing as a saturated market, there is only so many blogs one can follow. I am still (technically) a forum member at Problogger.It kind of staled out towards the end when some members who put a lot in it (and yes, I'm including myself in this end) walked out. It's hard work maintaining a forum, the folks behind it got distracted with other ideas. Which is fine, but I'd prefer to be let known.One idea I find that is more successful than rehashing is upselling (heck that's why Glen's doing so well). You've created a product, think of alternative ways to make cash. I sell plugins at $25 a pop, but should you require installation, then that is extra (as long as you make it explicitly clear before purchase).Good post though. Rhys, You are right about upselling. It's indeed very profitable. I was very active in Problogger community when it launched. But soon I saw that there wasn't much value in it for me to pay a monthly price (even at the starting price of 2$ a month). Thanks for your comment! I do see your point. I think they offer too much with little return. And at the same time, these "gurus" (I don't like the term guru, that's why I put it in quotes), are very knowledgeable and truly know what they're talking about in order to give such advice. I just wish they would do it in a way that gave more information in one product (split up into bits so it can be easily digested) so that those truly starting out can get all the information they need. Their blogs alone do offer a wide variety of knowledge - but who's going to go back for YEARS to get all that knowledge? I think that's where the multitude of products come into play. They know they have lots of relevant information so they keep bringing out different products. I digress - I do think they should have one really awesome, really super product that tells all instead of a lot of little products that tell little and are just rehashed information. Thanks for your POV! For constantly changing topics, a membership site would be a great choice I guess. But then, how many people would be ready to pay for a membership site given the assumption most people have that all content should be free. Thanks for sharing your views Morgan. Interesting POV and one that made me laugh a bit (no pun intended) when you mentioned , "ProBlogger’s Guide to 2nd, 3rd Week of Blogging...". I do know all these ProBloggers that you give an example of and I have to admit that I have never bought a single eBook or any course from any of them. Like you said, perhaps there are those that prefer to pay for the convenience, but what you forgot to mention is sometimes, just by doing proper research, most of those information are available virtually everywhere. I am not against this business model, but I do feel sometimes that when another product is launched and has some similarity or "updated" information that they should be at least provided to the customers that already bought other versions. Thanks for your comment Francisco Perez. I agree with you in that most content can be found for Free. But the problem is sourcing genuine content. There are a lot of dangerously wrong advice given out online. When you search online, you stand a chance of finding such info. When you pay for an ebook written by someone trusted like Darren or Glen or Gideon or any other Internet marketer, the price you are paying is not just for convenience. It;s also a price for authentic content delivered in an ordered fashion. I hear you and I don't disagree. However, when I say that there are good and great stuff out there, I was referring about trusted sources and not just random sites. Ultimately and like you said, for "authenticity" and convenience, it might just be all worthwhile. Yes, you have to take action. No course is going to do everything for you. A swimmer who doesn't swim at all is only as good as someone who doesn't know to swim! Interesting article and very good points. I have felt this frustration before and it tends to get overwhelming when there are too many products that are quite similar. However, I get why they do it and I don't blame them for giving the readers what they want. After all, there are always people who want that specific product and not the other one. That's true Anne. Sometimes offering many products can be time savers for the target audience. Take the case of business blogging vs general blogging. Business bloggers will find it much more effective to go through a book for their case, rather than a general book about blogging. However, when a book about blogging comes out, people who bought the original blogging book might think that the one they had did not cover the business blogging topic (which might not be true). Agreed. However, you can never please everybody. I guess you just have to go with your gut. I strongly believe that people can sense if you are trying to trick them or if you are genuinely interested in helping them in a certain way. If you are only in it for the money, your reputation will stop the flow of that in no time. I understand your concern about quality of WSO's. I have bought a few and were utterly disappointed by the quality (It was just re-hashed information). Now I no longer buy any WSO's. I'd rather pay 10 or 20$ more for an ebook from a trusted authority online rather than trying my luck with some random WSO. 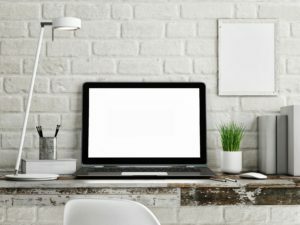 Great post I have bought many courses and products it seems that the gurus do not really care if you are trying to build your online business you can buy the basic product but to really succeed you have to buy the upsell's or the oto's so how it that helping us the small guy trying to really succeed? This truly makes me believe that they are just after your money yes I have bought some good products that have helped me learn but I do fell they took me for granted you have gave me a few ideas and some great information on what I should be working to build my online business thanks! 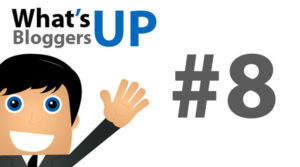 Up selling is almost something you cannot avoid when you are in the info product business. It's a huge revenue generator. Thank you for the comment Luis. For me, Internet marketers are no better than bankers and lawyers (apologies to all the good Internet marketers, bankers and lawyers reading this) And your post has reinforced my belief that most marketers are only interested in making money and are not genuinely interested in giving as much value as they can to their buyers. Clever post and I must say that i do agree with you. All three bloggers you mentioned are experts at recycling their content. It's funny, I used to read Problogger daily a couple of years ago but it seems stale to me now. Dan, Thanks for stopping by. I wouldn't say these bloggers exactly "recycle" their content. I mean, all their courses are unique. But the problem I want to bring up is from a user perspective. There are lot of people who "re-hash" their own content or that which is freely available on the net. That's not something we'd like as a buyer. Anyway I am interested to know everyone's take on this business model.